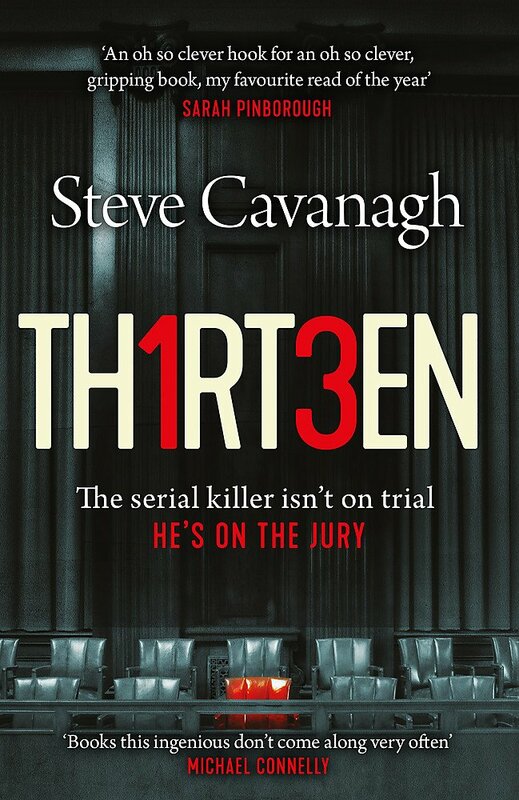 Thirteen, or Th1rt3en, by Steve Cavanagh is a courtroom thriller and book four in the Eddie Flynn series. Eddie Flynn was a con artist for years before giving it all up and becoming a lawyer, and a reasonably successful one at that. When a highly successful and famous lawyer asked Eddie to be his second chair on a very high-profile murder case, involving a Hollywood actor at the top of his game, he jumps at the chance. But things change, and he becomes the sole representative and lead lawyer trying the case, and not only does he have to prove his client’s innocence but prove that there is an unknown serial killer on the loose that is culpable. Joshua Kane is a highly intelligent and ruthless serial killer. His attention to detail and perfection has seen him operating for years without being noticed. With a high-profile murder going to court he wants part of it, but it won’t be him on trial – he will be on the jury! Overall, Steve Cavanagh’s Thirteen is just brilliant. It is a courtroom thriller with a twist – the killer is on the jury! It has an original concept, has a very smart and thrilling plot and is a very unique read that will keep you gripped. It has plenty of twists and turns and the characters are expertly written. It has been very cleverly constructed and doesn’t go into the realms of unbelievable fantasy. The killer is original, highly intelligent and manipulative, a master of disguise and doesn’t feel pain – he makes for a great character. Eddie Flynn as an ex-conman lawyer is intelligent and a superb opponent and racks up the tension for a pulsating read. Thirteen is one of the best thrillers I have read this year, fans of John Grisham will love it. The story goes along at a fast pace and has some very masterful twists along the way. This is one book that you won’t be able to put down this summer!